Michael F. High is the Director of Reimbursement Services at SE Healthcare and brings a significant boost to the company’s ability to provide healthcare providers with solutions and strategies for enhanced reimbursement. Michael is a healthcare professional with over 20 years of experience in reimbursement, strategic planning, cost savings analysis, claims analysis, pricing, contract negotiations, value-based healthcare, budgeting, accounting, and building financial models in the healthcare insurance industry. Before joining the SE Healthcare team, Michael served as Manager of Reimbursement for Independence Blue Cross. 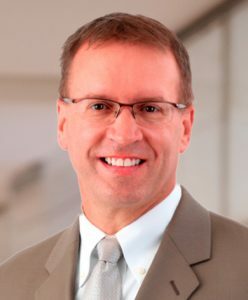 Within that role, he was responsible for the analysis, modeling, and financial terms of the contract negotiations for providers in the network; implementation of contracted rates; budgeting of contractual changes in reimbursement; identifying cost saving opportunities; identifying value-based healthcare; pricing, audits, and impacts of policy changes; reporting of provider network utilization and benchmarking; management of standard fee schedule changes; and management of the end to end contracting and reimbursement process. Earlier in his career, Michael served as a Senior Healthcare Consultant for Coventry Healthcare where he focused on analysis, financial modeling, data extraction, planning, and reporting for contract negotiations. Prior to that, he was a Senior Financial Analyst / Senior Systems Analyst at Provident American Corporation / HealthAxis.com. During his tenure there, he helped the company transform from an insurance company into a broker of insurance over the Internet. Michael graduated from St. Joseph’s University with a Master of Business Administration (MBA) in 1993. He also earned a Bachelor of Science in Accounting from West Chester University in 1987.